Skull Smash Ammonia Dead Pull Powerlifting Powder for smoother, scent free pulls and deadlifts. Skull Smash Ammonia's new DEAD PULL friction-reducing powder is used on the legs to reduce friction, and help the bar or other object, slide up the legs with less friction and more freely while deadlifting, or other pulling exercises. This can help achieve faster and smoother lockouts in your events. 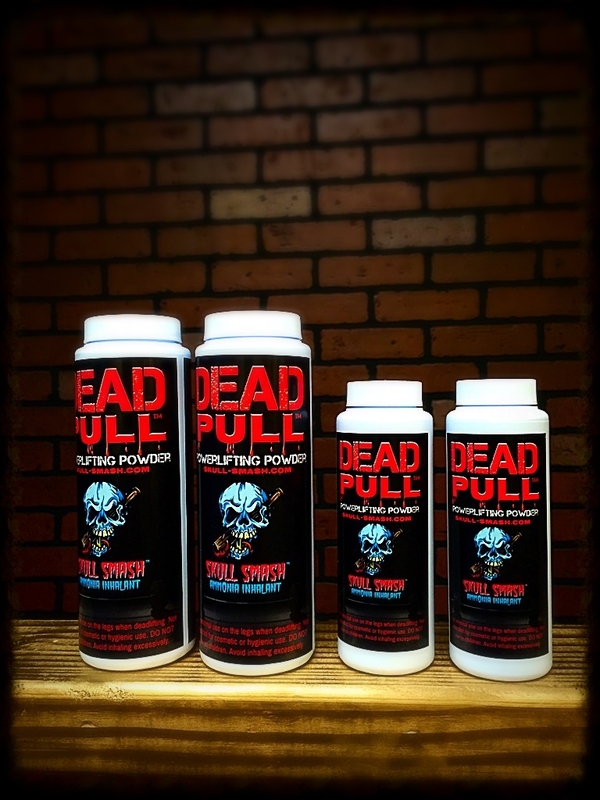 Dead Pull is very slick, and is scent-free...because most lifters don't want to smell like a baby, or be thinking about cuddling an infant right before smashing some big pulls. Also, that means more of what is in the bottle reduces friction, instead of being filled with unnecessary scents. The only powder Team Unbreakable uses on the platform!